All you need to do it yourself! We sell anything that framers would need to complete a framing project at home, as well as some things that we all need now and then like d-rings and picture hangers. Framing materials such as full sized mat boards & mounting boards; mounting tapes; lites and cases of production and U.V. inhibiting glass; joined or lengths of moulding; backing and hanging hardware…are all available at wholesale prices to the home framer. Self-adhesive paper tape used for hinging artwork. Both paper and adhesive are pH neutral and buffered. Adhesive is dry and pressure sensitive. Will not harden or seep through. Can be removed with water if properly applied. For heavier works of art. Can be removed with water. For original art works. Can be removed with water. When you do not want any tape on your piece or want to be able to change the artwork in your framing on a rotating basis. 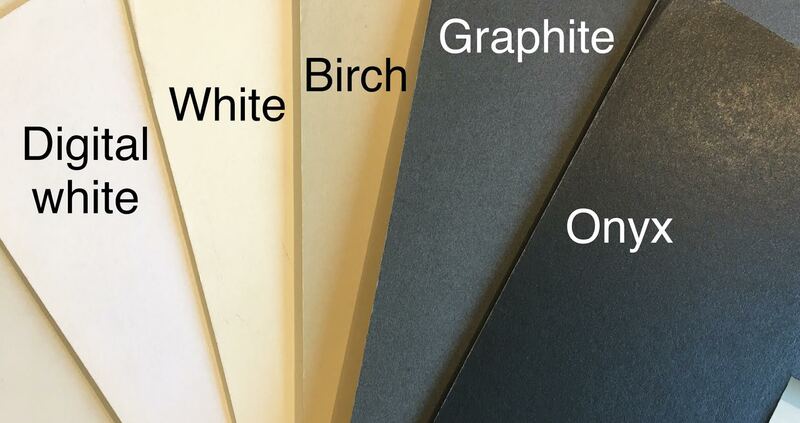 Archival grade adhesive is acid and solvent free. Removed with heat from most surfaces. 3M ATG 1/2″ by 36 yards Double sided tape used for many things. Not recommended for use on artworks. Makes using your tape easier! We sell only acid free mat boards. Lines we carry include: Artique, Bainbridge, Peterboro, Suedes, Linens and other specialties. Matboards are available in a full sheet (32 x 40, and some available in oversize: 40 x 60) by order, in most cases, order by Tuesday noon for pickup in shop Wednesday afternoon. 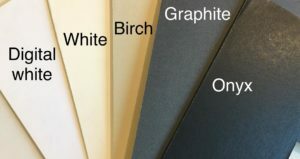 Acid free foamcore, sold in a 32 x40″ sheet or 40″ x 60″ oversized sheet. 2.5 mm Picture Framing Glass from Tru Vue. Tru Vue Conservation Clear: Sold by the case, the lite (standard sizes) or cut to your custom size. Also available: Tru Vue Museum glass or Premium Clear glass (non conservation). To handle glass without touching it. For cleaning picture frame glass & any other glass in your home too. Acrylic spacer used to create an air space between artwork and glass when no window mat is used, or to create extra depth in frame. Sold by 5 foot stick. Canvas Clips: Clips to fit your stretched canvas into a ready made frame. Offsets: 1/8″, 1/4″, 3/8″, 1/2″, 5/8″ offsets to mount your stretched canvas into a floater frame. Single hole, heavy duty & Super hangers. Sold by the pair or in a 100 pack. Used on the two bottom corners of your frame to help keep the frame straight on the wall, and to protect the wall. Sold in a page of 56 bumpons or by pair. Small or large. Sold in 100 packs or singly. 20lb., 25lb., 43lb. & 60lb. test. Sold by foot or roll. Backer Paper: By the foot or Roll. Custom frame(s) in any of our mouldings (wood or metal) made to your sizing specifications for your fitting/assembly back home at wholesale prices. Wood frame comes joined and filled. Metal frame comes with all hardware. Moulding sold by the stick, either in 8,9, 10 or 12 foot lengths (depending on the country of manufacture). Choose from amoung our hundreds of samples displayed in shop. In most cases, order by Tuesday noon for pickup Wednesday afternoon. Limited moulding profiles in stock for same day purchase.